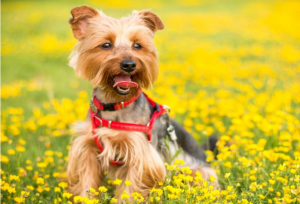 Daventry District Council is considering amending a Public Space Protection Order (PSPO), giving its enforcement officers broader powers to deal with dog owners who fail to properly control their pets in public open spaces across the district. As well as testing those laws already in place, the Council is keen to take advantage of this opportunity to expand the requirements of the existing Public Spaces Protection Order and consult on more innovative ideas which would extend the remit to encompass other pressing local issues that fall within the description of antisocial behaviour. Comments of the Parish Council on the proposals are requested during a statutory consultation period from Tuesday 29th May 2018 to Tuesday 24th July 2018. Fail to have the means to pick up after their dog. The District Council are currently consulting with parish councils who wish to consider adopting powers currently used by the District Council’s dog wardens. Representations can be made to Daventry District Council by completing the online feedback form, which can be accessed on the council website www.daventrydc.gov.uk/consultation or by writing to the Environmental Improvement Team, Daventry District Council, Lodge Road, Daventry Northants, NN11 4FP.